And what about Concord’s women? 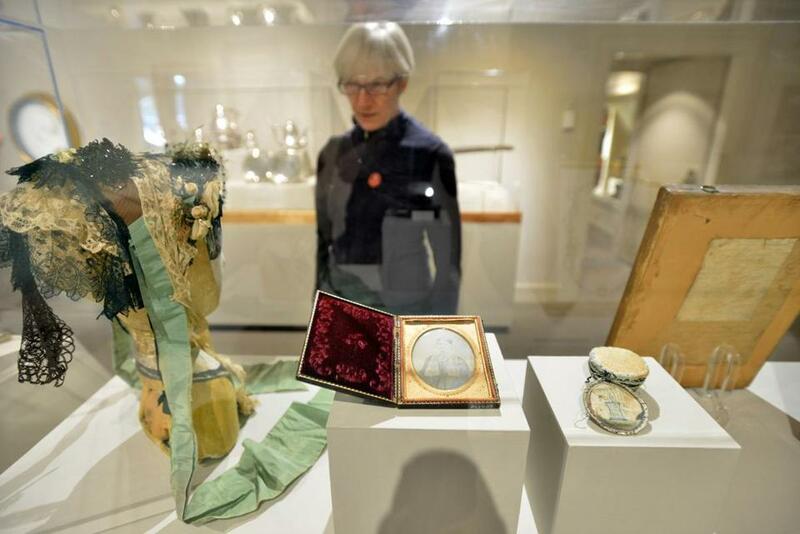 Kathleen Buck of Jamaica Plain admires a display showing a milliner&apos;s model head and a daguerreotype of domestic worker Sally Cummings. With the opening this spring of “N.C. 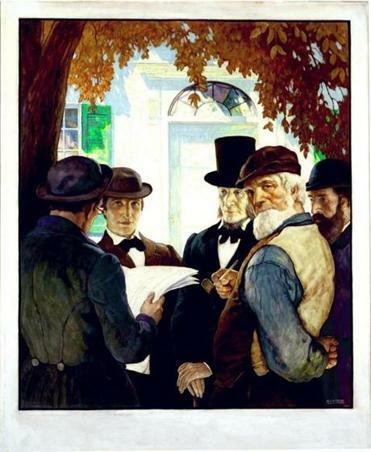 Wyeth’s Men of Concord” at the Concord Museum, plenty of attention has been paid to 19th-century author Henry David Thoreau and the artist who later illustrated his writings. But the exhibition also spawned the inevitable question: What about Concord’s women? Acting swiftly upon that curiosity, the museum has launched “Women of Concord,” which will run in parallel through mid-September. The show uses objects from the museum’s collections to tell the stories of the town’s female citizens, some of whom supported the efforts of prominent men and others who found importance in their own right. Eighty years ago, N.C. Wyeth painted 12 panels to illustrate the writings of Henry David Thoreau. They’ll finally be on display in Concord. In some cases, the owners of the objects are well-known personalities. 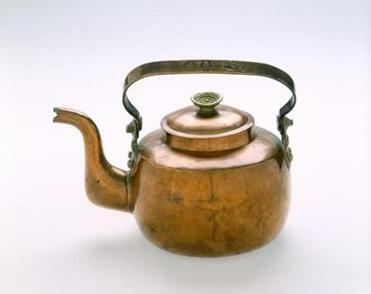 There’s a tea kettle that “Little Women” author Louisa May Alcott kept from her days serving as an Army nurse during the Civil War and later donated to Concord Museum founder Cummings Davis. An oak and pine chest from 1705 that descended through the Jones/Hoar/Brooks/Clark/Emerson families. The silver tea service used by Rebecca Poor Farnham Damon to serve luminary guests such as Ralph Waldo Emerson. Other pieces in the exhibit are portrayals of well-known women, such as a silhouette profile done when Margaret Fuller, a leader of the Transcendentalists and an early advocate for women’s rights, was in her teens. And still others remind viewers that women did more with their creative talents than cook and serve tea, such as the hand-wrought communion plates made by silversmith Lucy Cora Myrick Brown, a student of the Society of Arts and Crafts in Boston; and a toy ship made by Martha Lincoln and Katharine Torrey, founders of the Bantam Workshop, a preschool and after-school program in the 1950s that taught children woodworking skills. The exhibition includes items that tell almost forgotten stories from Concord’s less heralded past. There is an antislavery periodical that tells the story of two 12-year-old girls, one black and one white, who walked together holding hands in the Concord Bicentennial Parade in 1835. And there is a bird-head pestle, a Native American artifact that likely belonged to a female tribal leader before Europeans arrived in the 17th century. Eighty-four-year-old Eileen Thrasher of East Aurora, N.Y., took in both exhibits with her daughter recently. And both made an impression on her. To Wood, the “Women of Concord” exhibition reflects Thoreau’s interests just as significantly as the “Men of Concord” exhibition does. For example, Wood said, “Women of Concord” includes a daguerreotype of a young female domestic made in the early 1850s. Bringing the two exhibitions, “Men of Concord” and “Women of Concord,” together along with consideration of still more aspects of the community’s history is a summer lecture series, “The People of Concord,” covering topics such as “Outcasts and Others: Hardscrabble Lives in Concord” and “Such a Dusky Orb,” about African-American life in 19th-century Concord. 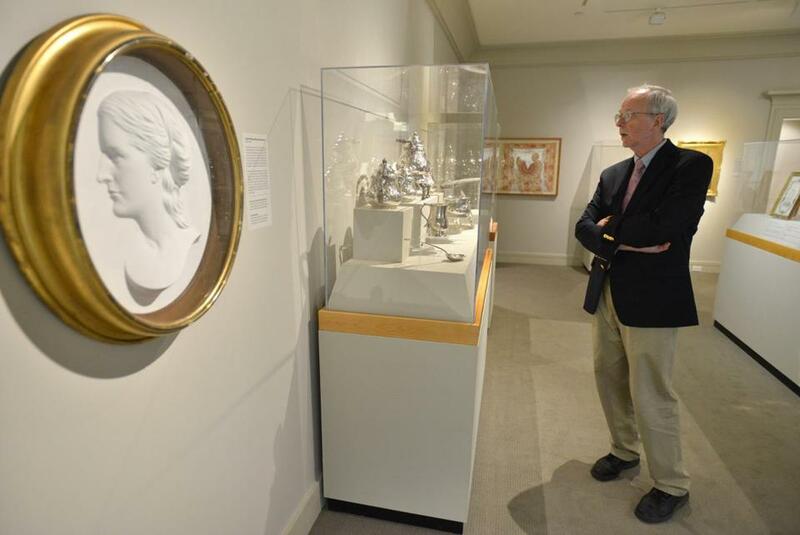 “Women of Concord” runs through Sept. 25 at the Concord Museum, 200 Lexington Road, Concord. For hours and more information, as well as the summer lecture schedule, call 978-369-9763 or go to www.concordmuseum.org. Curator David Wood admires a silver tea service owned by Rebecca Poor Farnham, from which Ralph Waldo Emmerson would often have been served. In the forground is a portrait of Emerson’s wife, Annie Shepard Keyes Emerson. Nancy Shohet West can be reached at nancywest@gmail.com.